The purchase of this property was made possible in part through Doris Lee, who said, "They were looking for donations," said Lee. "I thought it was a wonderful thing for the community. I was a single parent with six kids. I've been there, done that." 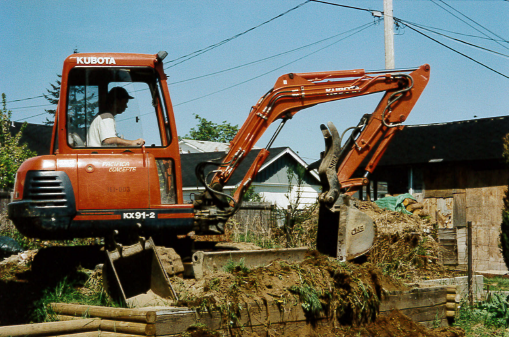 In September 2000, a Groundbreaking ceremony was held for the next project, a single-detached house on Lambert Avenue in Nanaimo. This project involved many volunteers dismantling an older fire-damaged two-bedroom house. Some of the material was reused and a new three-bedroom house would be built. Building on the project stopped temporarily just before Christmas because of lack of funds. 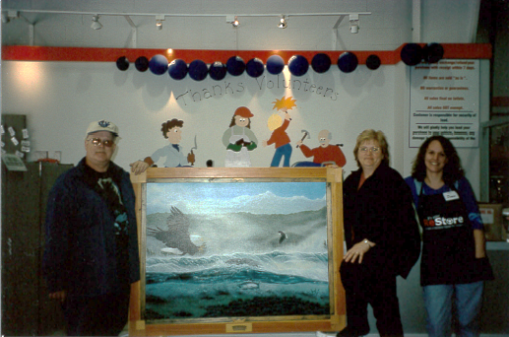 In September 2001, Habitat Mid-Vancouver Island had its first annual Carpenter’s Capers fundraising event, which included dinner with a live and silent auction. Future homeowner, Joel, was an artist, and donated one of his paintings for the auction. With the $5,500 proceeds from the fundraiser and with the help of corporate and private donations, the house was completed. Joel, Peace and their two children became homeowners in February 2003.